The Nissan Titan lineup went through a redesign in 2016, which brought in the all-new Titan XD — a medium-duty pickup designed to split the difference between light- and heavy-duty pickups. The following year, the new-generation base Titan completed the lineup. Shoppers in the Saginaw and Midland areas may wonder which of these near-identical-twin pickups is best for them. Continue reading to find out whether you need the 2019 Titan or the heavier-duty 2019 Titan XD. 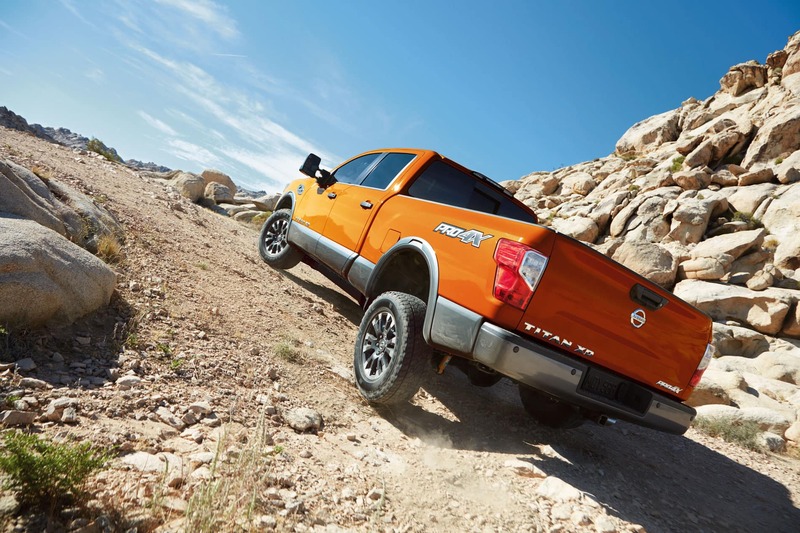 The 2019 Nissan Titan and 2019 Nissan Titan XD are still relatively fresh since these new-look pickups debuted just a few years back. Oddly enough, they have very little that separates them in terms of appearance unless you break out the tape measure and take detailed measurements. These pickups boast a refreshingly simple design language that oozes pickup truck from every pore. Nissan knows buyers want trucks that look like they can actually do the work they are built to do, and the rugged-looking Titan and Titan XD get that job done. The Titan XD is slightly larger than the Titan in all measurements. It is 230.5 to 243.6 inches long, 79.5 to 80.7 inches wide, and 77.1 to 78.9 inches tall. The XD rides atop a 139.8- to 151.6-inch wheelbase. Like the Titan, the Titan XD comes in three cab-and-bed formats: Single Cab with 8-foot bed, King Cab with 6.5-foot bed, and Crew Cab with 6.5-foot bed. Like their exteriors, the 2019 Titan and Titan XD share a cabin, so it’s quite difficult to differentiate one from the other. Like the body, the Titan and Titan XD cabins are 100 percent pickup truck as they feature upright instrument panels with minimal fluff mixed in, chunky steering wheels, huge center consoles for storage, and more. There are some luxury bits when you move into the Pro-4X and Platinum Reserve models, like high-end leather, upgraded audio systems, heated and cooled seats, open-pore wood trim, and more, but all the lower-trimmed Titan and Titan XD models are pretty simple — and that’s a good thing. 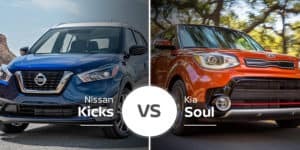 Both models come standard with a new 7-inch infotainment system that includes Android Auto and Apple CarPlay, allowing you to connect your cellphone and use it as a navigation system or media player. 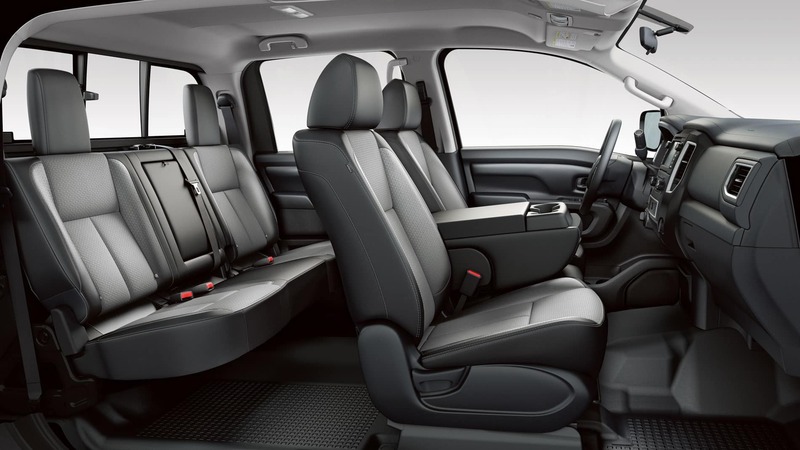 Inside, the 2019 Nissan Titan and Titan XD share identical seating measurements. In their single-cab setups, these pickups have seating for up to three in their 40/20/40 bench seats and 41 inches of headroom, 63.3 inches of shoulder room, 60.8 inches of hip room, and 41.8 inches of legroom. Need rear seats? The Titan and Titan XD King Cab models are the entry points for small rear seats. Their front seats offer 40.9 inches of headroom, 63.3 inches of shoulder room, 60.8 inches of hip room, and 41.8 inches of legroom. Rear-seat riders have 38.7 inches of headroom, 64.6 inches of shoulder room, 59.4 inches of hip room, and 24.8 inches of legroom. 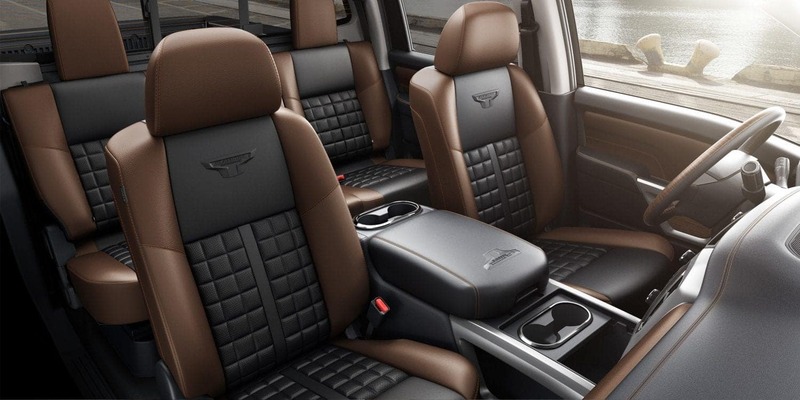 For buyers who plan to use the rear seats frequently, the Titan and Titan XD Crew Cab are better picks. Their front seats have the same space as the other two cab options, but the rear seats offer 40.4 inches of headroom, 63.6 inches of shoulder room, 60.3 inches of hip room, and 38.5 inches of legroom. The 2019 Nissan Titan and Titan XD share a base powertrain, which is a 5.6-liter V-8 engine that cranks out 390 horsepower and 394 pound-feet of torque. This engine pairs to a standard seven-speed automatic transmission. Rear-wheel drive is standard, but four-wheel drive is available. 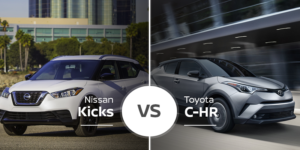 Where these models split is the Titan XD’s optional 5.0-liter turbo-diesel V-8 engine. This engine is not available in the base Titan, and it injects 310 horsepower and and healthy 555 pound-feet of torque. This juice heads through a six-speed automatic transmission and out to the rear wheels. Four-wheel drive is optional. While the engine difference is obvious, there are even more differences once you get deeper under the skin. 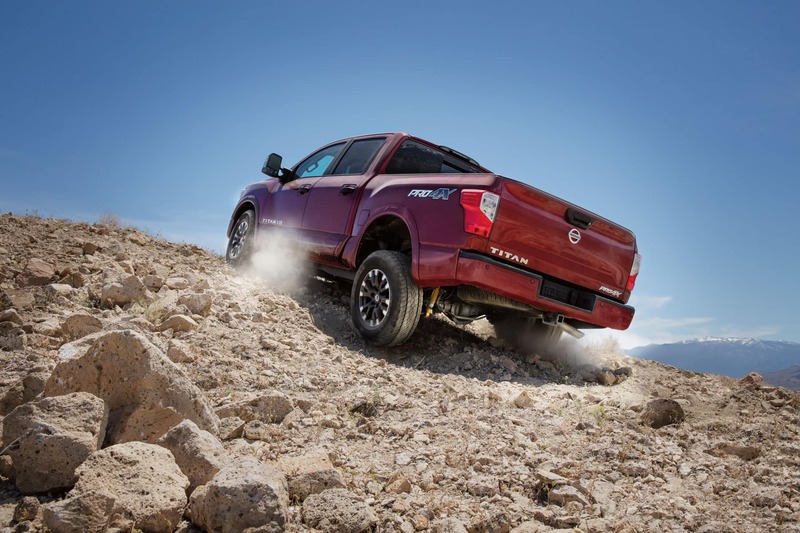 The 2019 Nissan Titan XD rides on an upgraded platform compared to the base Titan, which is what allows it to split the difference between a light- and medium-duty pickup. The Titan XD’s platform features additional reinforcement to increase stiffness and reduce lateral bending. It also boasts a more rugged suspension system, larger brakes, different wheels, and LT-rated tires. All this comes together to boost its towing and payload capacities. 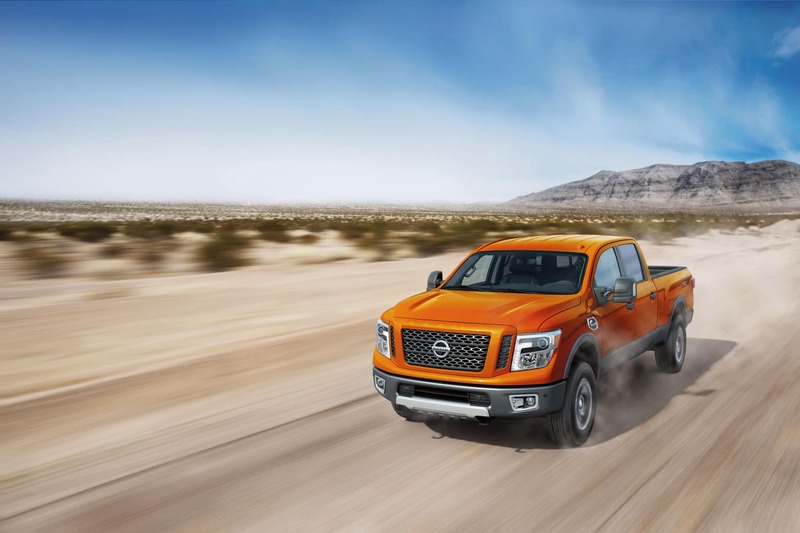 The 2019 Nissan Titan is no slouch with its 9,380-pound towing capacity with rear-wheel drive. The extra heft of the Titan XD and its diesel engine pushes its towing capacity up to 12,830 pounds via the gooseneck or 12,710 pounds with a conventional hitch. With the gasoline engine, the Titan XD can tow up to 11,780 pounds. Payload — the amount of total weight the truck’s chassis can support — also plays a big role in light- and medium-duty pickups. 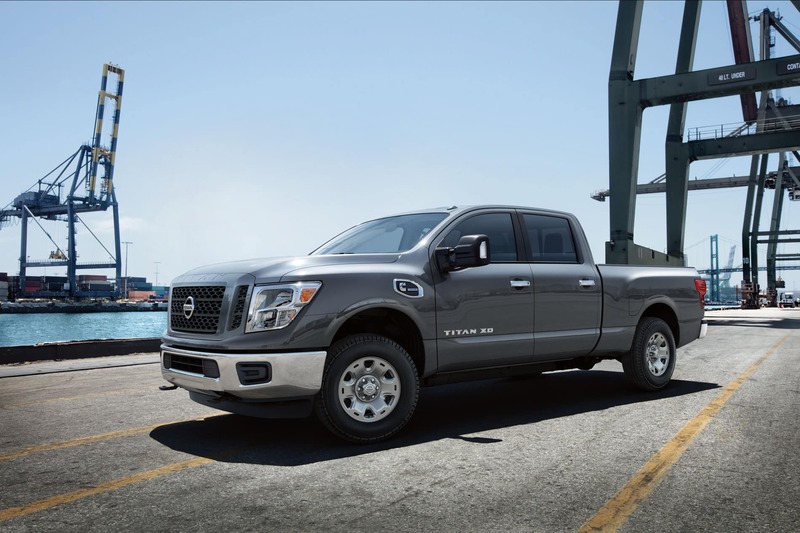 The 2019 Nissan Titan can haul a respectable 1,620 pounds of payload, but the Titan XD crushes it with up to 2,990 pounds with the gasoline engine. The EPA doesn’t yet test medium-duty pickups for fuel economy, so we cannot compare these models’ fuel efficiency. For reference, the 2019 Nissan Titan gets up to 15 mpg city, 21 highway, and 18 combined. 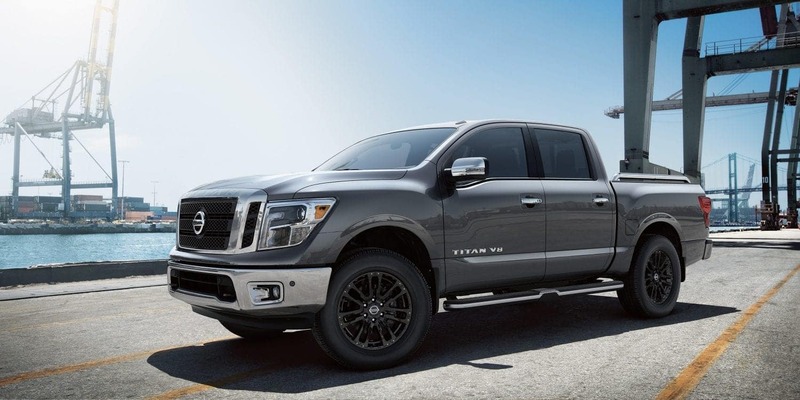 The 2019 Nissan Titan comes in five trims: S, SV, Pro-4X, SL, and Platinum Reserve. Starting prices for these trims range from $30,030 to $56,800. 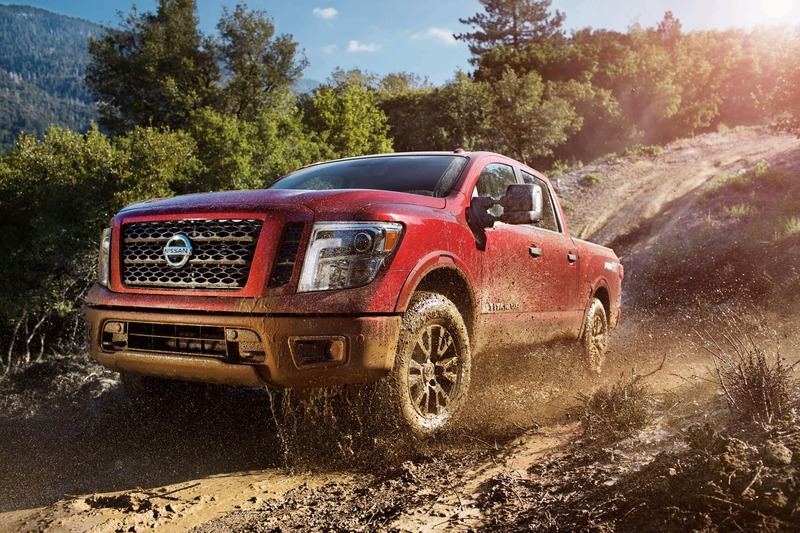 The 2019 Nissan Titan XD has the same five trim levels, but their starting prices range from $32,290 to $55,280. Who Should Buy the 2019 Nissan Titan? Who Should Buy the 2019 Nissan Titan XD? Hauling big loads on the regular but don’t want a heavy-duty pickup? The 2019 Nissan Titan XD is the right pickup for you. It offers everything the standard Titan does and adds a significant towing and hauling boost without growing to gargantuan sizes. 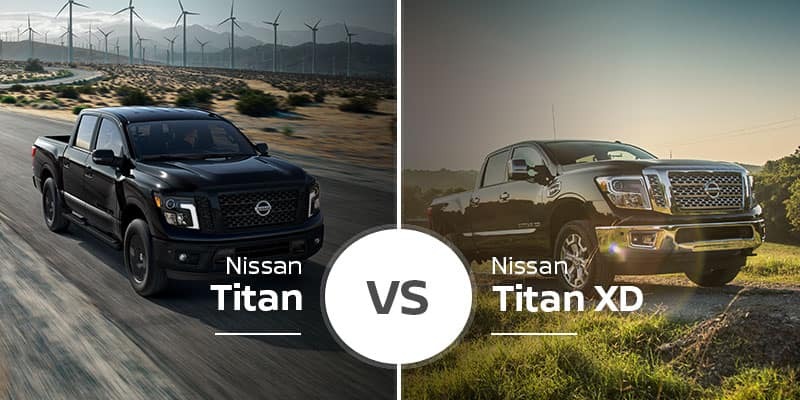 The 2019 Nissan Titan and 2019 Nissan Titan XD give our Saginaw area pickup shoppers two pickups with distinct personalities. 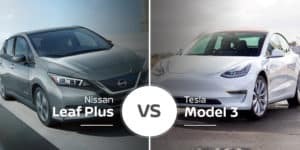 Find out which one is right for you at Garber Nissan Hyundai showrooms serving Saginaw, Midland and Bay City by test driving them both today. If you can’t make it in, you can also check out our online inventory to see which models we have in stock and if they will fit your needs.